The new road to the third summit of Mont Royal (the Outremont summit) has a new road built in the last couple of years. The entrance to this road in Outremont has a big no-bikes sign but if you look closely at the park's rules, the actual road itself permits bikes. The proof of this is this Parc Mont Royal rules and regulation sign, which says bikes are permitted on the road and only on the road. The no-bikes sign is A LIE. 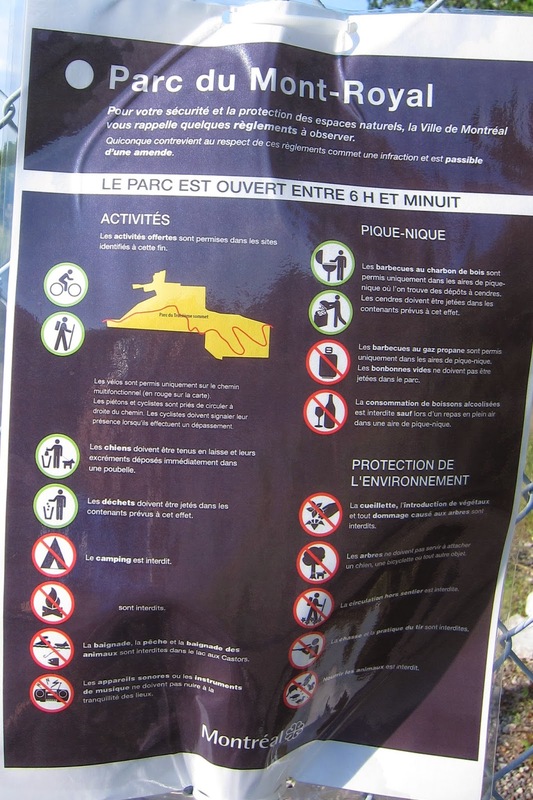 Outremont has knowingly installed a sign that misrepresents Parc Mont Royal's own rules.